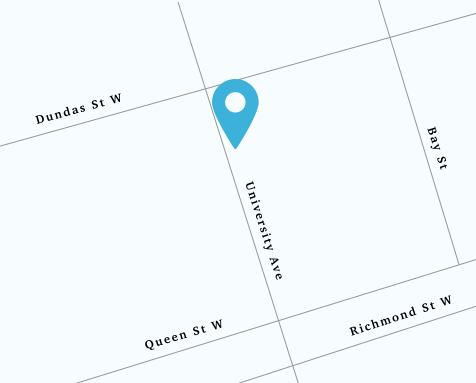 Address 439 University Avenue, Suite 2300, Toronto, ON M5G 1Y8 Location Our office is located on the southeast corner of University Avenue and Dundas Street West. Parking Metered parking is available on both University Avenue and also on Centre Street, one block east of University Avenue and with easy access to the rear of the building. Public Transit Our office is located on the University subway line, just south of St. Patrick subway station.